I have been unwavering on this one point – there is no link between the MMR vaccine and autism spectrum disorder (ASD). They are simply unrelated, based on high quality evidence published in respected peer-reviewed journals across the world. To dispute this conclusion, using only low quality evidence published in predatory and low impact factor journals, is the epitome of science denialism. There are some interesting early results from a study, published in Nature, that is examining brain development in infants who are at risk for autism spectrum disorder. The study hasn’t uncovered any new information about what may cause autism, but it did confirm that the MMR vaccine is unrelated to autism. Throw this study onto the mountain of evidence that completely debunks that myth. The ongoing study’s results indicates that changes in the brain in early infancy may be predictive of an autism diagnosis at age 2 in children who have higher odds of autism because an older sibling has been diagnosed with ASD. The researchers took MRI images of the brains of children at higher risk at ages 6, 12, and 24 months, along with administering a test at age 24 months that assists in the diagnosis of autism along with another test that evaluates social skills. The early results (the final paper will come out within a year or two) suggests that rapid growth of the surface of the cerebrum from ages 6-12 months preceded an increase in brain volume at age 12-24 months in children at risk for ASD and who were diagnosed with ASD at 24 months. Based on this cortical surface growth, the researchers were able to predict an ASD diagnosis in 81% of high risk children who eventually were diagnosed with ASD. Again, this study didn’t provide us with any information about possible causality for ASD – it provides us some evidence of predictive diagnostic methods. Moreover, the study had a relatively low study population, and we really need repeated studies to confirm the value of this study. Dr. Willingham states that the changes that precede a diagnosis of autism appear well before the first administration of the vaccine. The first MMR vaccination just happens to be coincidental to the rapid growth that is associated with ASD. Remember correlation doesn’t imply causation, especially now that we have evidence that the brain changes indicated in ASD occur prior to administration of the MMR vaccine. I know that the “true-believer anti-vaccine activists” will be unconvinced by this evidence, and that is sad. There is simply no evidence that MMR vaccine and autism are related. In fact, evidence suggest that they are not related. The MMR vaccine saves lives, so let’s just protect our children with it. Hazlett HC, Gu H, Munsell BC, Kim SH, Styner M, Wolff JJ, Elison JT, Swanson MR, Zhu H, Botteron KN, Collins DL, Constantino JN, Dager SR, Estes AM, Evans AC, Fonov VS, Gerig G, Kostopoulos P, McKinstry RC, Pandey J, Paterson S, Pruett JR, Schultz RT, Shaw DW, Zwaigenbaum L, Piven J; IBIS Network. ; Clinical Sites. ; Data Coordinating Center. ; Image Processing Core. ; Statistical Analysis.. Early brain development in infants at high risk for autism spectrum disorder. Nature. 2017 Feb 15;542(7641):348-351. doi: 10.1038/nature21369. PubMed PMID: 28202961. The headlines are screaming again, ANTIDEPRESSANTS CAUSE AUTISM !!!!!!!!!!!!! (approximate average number of exclamation marks per article). Of course, a critical analysis of the the underlying study that caused the headlines is more nuanced and may not say what you think it says. Autism spectrum disorder is a complex range of conditions classified as neurodevelopmental disorders by the American Psychiatric Association, which is described in detail in the Diagnostic and Statistical Manual of Mental Disorders 5th edition (DSM-5). The DSM-5 redefined autism spectrum disorder to encompass diagnoses of autism, Asperger syndrome, pervasive developmental disorder not otherwise specified (PDD-NOS), and childhood disintegrative disorder. Generally, symptoms of these disorders include social deficits and communication difficulties, stereotyped or repetitive behaviors and interests, sensory issues, and in some cases, cognitive delays. The scientific consensus for the causes of autism has centered on genetic factors, generally several genes. This hasn’t stopped a whole host of claims as to what causes autism. Emily Willingham wrote an article a few years ago with the title, This just in: Being alive linked to autism, in which she lists 30 recent claims of what causes autism. It would be funny, if it weren’t so sad. Of course, we cannot overlook the old canard that vaccines cause autism. Which is about as untrue as a claim can be in science. So what about this new claim about antidepressants and autism spectrum disorder? It’s based on a study just published in JAMA Pediatrics, a relatively high impact factor (approximately 7.148) and selective peer-reviewed journal. Agricultural pesticides cause autism? Don’t hold your breath. If you’re a regular reader of this blog, you would think that I spend a lot of time discussing autism spectrum disorders (ASD). But the goals of this blog is weed out and debunk pseudoscientific beliefs, especially some of the more popular ones. Probably the most ridiculous belief about autism is the claim that vaccines cause autism, something that was fraudulently invented by a charlatan, and has been thoroughly debunked by real scientific evidence. You’d think that the belief about vaccines and autism would be completely gone by now, right? Well, not really. Irrational and, frankly cult-like, groups such as Age of Autism refuse to give up. Of course, the Age of Autism is so deluded by their illogical and unscientific beliefs, they oppose funding for genetic research into autism. For reasons beyond the scope of this blog and my interests, parents need to find blame for why their children may have been diagnosed with autism spectrum disorder. About three years ago, Emily Willingham, Ph.D., whom I consider to be one of the leading ASD scientific experts on this planet, wrote a hysterical, but still appropriate, article about all the popular causes of ASD. Older mothers. Older fathers. Depressed mothers. Fingers. Facial features. Facial features? 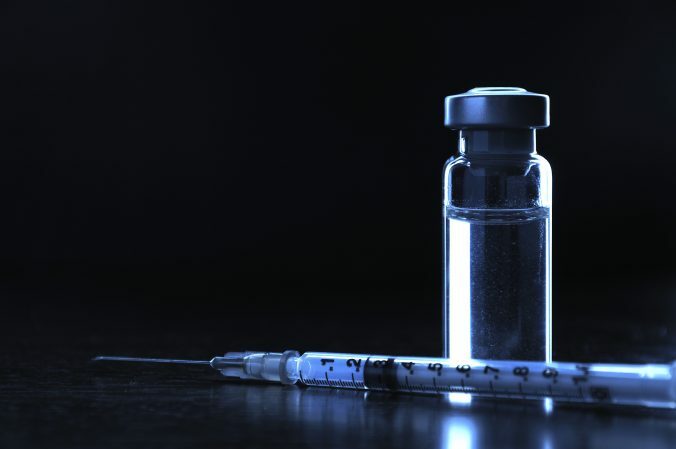 A new study was published recently that showed, once again, that there is no link between autism and MMR vaccines. Are we still wasting good research dollars on showing that there is not one single link between autism and MMR vaccines (to prevent mumps, measles and rubella)? Apparently, we are going to do this until the evidence is literally the size of a mountain. Despite the fraudulent claims of one Mr. Andy Wakefield, there is simply no evidence that vaccines are related to autism. Moreover, when we have gone looking, there is evidence that that autism is totally unrelated to vaccines. And it’s more than just me yelling this loudly. Orac says so. Science Based Medicine says so. Emily Willingham says so. Oh I know, these are all bloggers, which isn’t real science–except, like me, whatever they write is actually linked to real science in the form of peer-reviewed studies. And we all conclude that there is simply not one shred of evidence to support the implausible hypothesis that autism and MMR vaccines are linked. So despite overwhelming tons of evidence that vaccines, especially the MMR vaccine, do not cause or are completely unrelated to autism and autism spectrum disorders, the loud noise from the antivaccine cult continues. Using false balanced “debates” to pretend that there is actually some sort of scientific discussion about this point, some news reports will often make you think that there are really two sides to this story. But there isn’t. There’s one side with real science, and the other side with, well, nothing. The anti vaccine cult has hit another low, sending out violent death threats against California Senator Richard Pan, who introduced SB 277, the bill that would repeal the personal belief exemption to school vaccine mandates. The bill still allows for legitimate medical exemptions (like immunocompromised children who need to be protected through the herd effect). Although Sen. Pan is the leader of the legislators who are attempting to make this bill into law, many other lawmakers are championing mandatory vaccines for children to protect the general population have withstood intense and illogical criticism from the anti vaccine cult.